Flawless and unblemished skin is the dream of every woman. Getting a bright and clear complexion is possible when the dead skin cells are removed. This is, however, a tricky process. The skin’s natural oil and moisture are lost due to environmental pollution and varying climatic conditions. 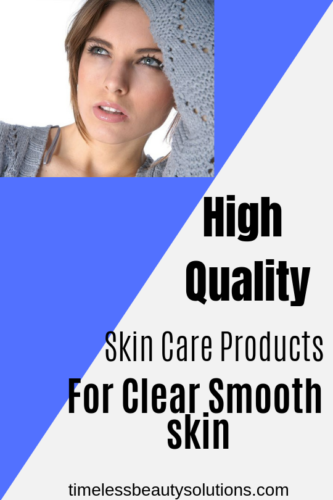 But, there is still a way out there to get the beautiful skin as many high-quality skin care products are available in the market. Rodan + Fields ENHANCEMENTS Micro-Dermabrasion Paste is one such treatment that assures the vibrant and bright skin that everyone yearns for. The range of Enhancements products from the Rodan + Fields is famous like the Bright Eye Complex and Active Hydration Serum. 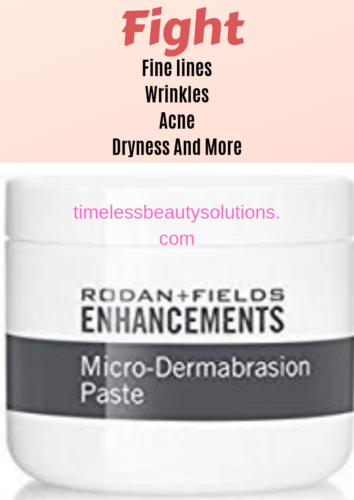 The micro-dermabrasion paste is another one in the Enhancements line that proves to be an effective way to ensure the smoothness of the skin lingers long. It removes dead skin cells and impurities with ease and in a gentle manner. The paste includes sugar and salt to exfoliate and has Vitamin E and Vitamin C. It also contains the moisturizers capric triglyceride, butylene glycol, and dimethicone. The best thing about the paste is that one doesn’t require any tool to make use of it. The formula has a slight yellow base, and the sugar and salt make it waxy. Initially, the smell of the paste can displease you, but the medicinal smell never stays on the skin. The base of the formula is designed to ensure that the users never end up with over scrubbing. This means that the skin is no way damaged. To use the same, you only need to massage the paste for a few minutes between the fingers. When it becomes pliable, it is ready to apply on the face. Even at few body spots where the skin is dry, the paste can hydrate and do wonders. The usage of the paste improves the skin tone and enhances the appearance of the skin. The skin is left with only the natural oil and looks beautiful after using the microdermabrasion exfoliator. A clean surface that is bright and smooth is the result. The skin’s dullness is removed even after a single application. The human skin daily loses its cells, and the cells that are aged and lost are called dead cells. The exfoliation helps in removing the dead skin cells. The skin needs to be cleared off from these dead cells. Also, the peeling needs to be done with mild agents. The minute particles in the paste are meant for the mild scrubbing effect. This is where this paste stands out among the rest. It is oil free. Some pastes and creams make use of the mineral oil in the market. The vitamin C and E ensure the skin gets its nourishment and helps in doing away fine lines and wrinkles. The skin turns to be silk and smoothy even after a single application. Who Can Use This Paste? The microdermabrasion cream from Rodan + Fields is designed to be used for all the skin types. It can be used 3 times a week. The paste also can be used for sensitive skin types. However, using it once a week is a better option if you have sensitive skin. It is also a good idea to do a patch test and then opt for this paste. Else going for a milder alternative is an excellent choice too. Why You Should Use This Paste? The paste contains hybrid physical exfoliants, and they assure a gentle mechanical scrub, and the AHAs and BHAs present in the product are minimal. There are no harmful side effects as present in the other chemical exfoliants in the market. The texture of the paste is another compelling reason. The paste when abrasive can lead to skin damage and if too smooth, cannot offer the desired results. The ideal texture of the paste can be felt with the Rodan + Fields ENHANCEMENTS Micro-Dermabrasion Paste. The composition of this paste ensures the health of the skin is maintained and it does not damage the sensitivity of the skin. There are no micro-tears on the skin surface when the paste is used. The paste ensures the desired effect is achieved. The paste is devoid of oil, and the cells turn over faster to result in the smooth and bright skin. Try it on a small skin surface before using it on the face. The dimethicone ensures there is no too much scrubbing, and this is why the product has to be made pliable. For users with sensitive skin, the skin has to be dampened first. One cannot often use the paste. It is meant to be used 2 to 3 times a week. those who have sensitive skin can suffer skin irritation. So, a patch test is recommended. The smell of the paste can be a turn off definitely but the smell does not linger for long. However, this is no real negative feature of the product. What others say. The paste has to be used occasionally to see visible results. The price tag is quite expensive, but amazing products never come for a low price so I can safely say it`s worth investing in Rodan+fields products if you`re serious about that fresh skin. You don`t need to invest in more at home microdermabrasion products if you have this one as it works so well and all your skin worries will be a thing of the past. Microdermabrasion can be used on sensitive skin, but you`ll need to do it less often. ive heard interesting good and bad things about microdermabrasion pastes but i might want to give this on a try thanks to your great review! Glad you found the post useful, what negatives have you heard about Microdermabrasion paste? it`s hard to understand because microdermabrasion is quite safe and can be used in any skin type. No problems, thanks for stopping by. I`m sure Microdermabrasion is available in most countries, if it`s not you can always purchase from Amazon as they ship worldwide. Great post! I find it helpful particularly because my skin is anything but glowy and smooth (thanks to pregnancy). I’d love to check out that paste! Looks helpful! Glad you found the post useful, hope you`ll get your skin to where you enjoy looking in the mirror. Thank you for the recommendation. Was looking for something to rejuvenate my skin. It has got patchy and rough due to change of the season. Will give it a try. The weather affects many of us and that`s why it`s important to always update your skin care products. Thanks for sharing the detailed and interesting review of rodan fields microdermabrasion paste, I have a sensitive skin. Microdermabrasion works well on sensitive skin,the reason I like microdermabrasion so much is that it can be used in all skin types. Very informative post, I had never heard of this kind of paste before. I’ll check it our for sure. Glad you learned something new from here, hope you`ll find what you`re looking for. I had never head of this product, but i would love to try it. I have never tried anything like this product and i hope to find it on a website. Rodan Fields is a big name in the cosmetic industry and they produce different skin care products, now that you know about the products, you can always check them out. Thanks for introducing us to Rodan Fields microdermabrasion paste, you have presented the product so well! Glad you found the post helpful, hope you will read my other posts and check more microdermabrasion machines or how microdermabrasion works. Wow I had no idea how many benefits there were – I think I really need to try this now. Thanks Bree, you can order online or maybe at your local beauty store. Totally agree our skin is not like a dress that we can go out and buy a new one if/when we`re tired of it, that`s why skin care should always be on top of the list. I have heard so much good about this skincare brand, but I have never tried it before. It sounds like I’d love this product! Rodan Fields products are great and prices also wallet-friendly for any budget. Sounds like this is a great product. Ive heard amazing things about microdermabrasion. Microdermabrasion is great and can be used in all skin types to remove fine lines and reduce wrinkle appearence,and unlike in the past, you can now buy a home microdermabrasion machine to use at your convenience. I’ve never heard of this brand before, but your in-depth review made me interested. Seems like an affordable option for quality skincare product. Thanks, Rodan Fields products are affordable and that makes them to be top on my list for skin care and skin issues. I have never tried this company before! I need to check into it! Hope you can try it soon, you`ll not be disappointed. thanks for stopping by, glad my post made you understand more about Microdermabrasion. I do have a combination of dry and sensitive skin. This product sounds really amazing to try. This looks like a great product. Sadly, at the age of 61, I don’t think even great products can reverse the damage to my aged skin, due to years of NOT consistently maintaining a stringent skincare routine. It`s true you can not make a 60-year old skin look like a 40-year old skin, but you can always reduce the appearence of wrinkles or make them less visible with the right makeup. This sounds amazing! I am trying to find a skin care product to help me defeat acne. acne should not be an issue if you take good care of your skin with the right products for acne. I love your easy and useful skincare tips. That’s a very informative post. Exfoliation is so important for healthy looking skin and this product seems to do a great job at it. Glad you found the post useful thanks for stopping by.